Diving off Dubai is mostly wreck diving, with some vessels deliberately sunk to form artificial reefs attracting a plethora of marine life. The UAE enjoys the riches of both the Gulf and Sea surrounding its coast and it is here where you can take in some of the most colourful and exciting’ diving the region has to offer. Fujairah and Mussandam are famous for their colourful coral reefs teeming with marine life; reef sharks, moray eels and turtles to name a few. 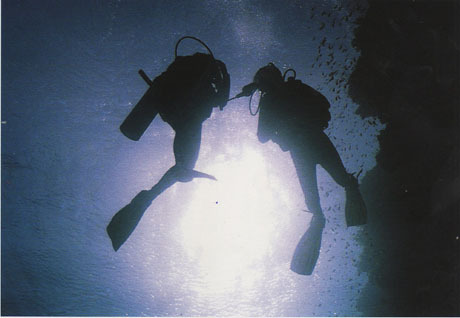 Ranging from 8 to 30m, the waters suit all levels of divers. For beginners we can offer the Discover Scuba Program. An instructor will take you through the basics of scuba diving in the classroom and in the swimming pool. Afterwards, you can go on an optional sea dive with an instructor. Snorkelling can also be just as rewarding with crystal clear waters and good visibility; you can check out the colourful corals, swim with turtles and maybe catch a glimpse of a harmless reef shark.